Since the mid-1990s, when the first planet around another sun-like star was discovered, astronomers have been amassing what is now a large collection of exoplanets—nearly 3,500 have been confirmed so far. In a new Caltech-led study, researchers have classified these planets in much the same way that biologists identify new animal species and have learned that the majority of exoplanets found to date fall into two distinct size groups: rocky Earth-like planets and larger mini-Neptunes. The team used data from NASA’s Kepler mission and the W. M. Keck Observatory. “This is a major new division in the family tree of planets, analogous to discovering that mammals and lizards are distinct branches on the tree of life,” says Andrew Howard, professor of astronomy at Caltech and a principal investigator of the new research. The lead author of the new study, to be published in The Astronomical Journal, is Benjamin J. (B. J.) Fulton, a graduate student in Howard’s group who splits his time between Caltech and the Institute of Astronomy at the University of Hawaii. 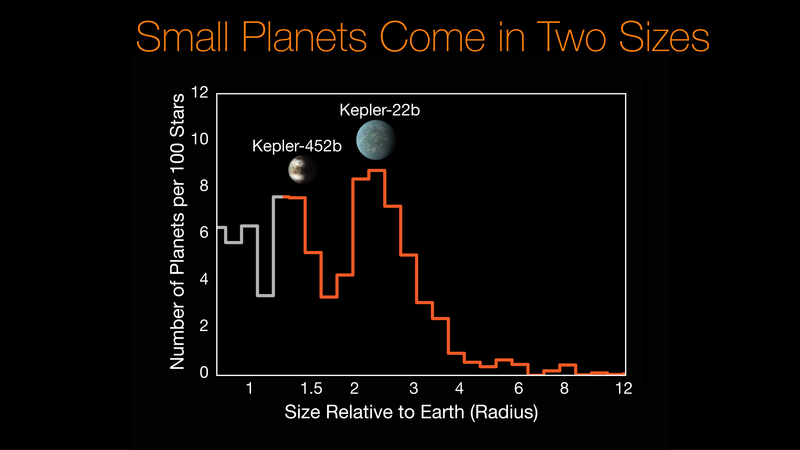 Kepler finds planets by looking for telltale dips in starlight as they pass in front of their stars. The size of the dip is correlated with the size of the planet. 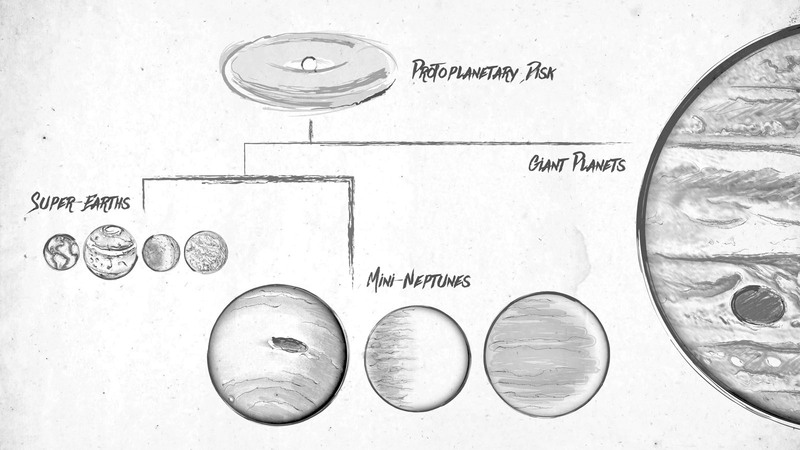 But in order to precisely know the planets’ sizes, the sizes of the stars must be measured. The Caltech team—together with colleagues from several institutions, including UC Berkeley, the University of Hawaii, Harvard University, Princeton University, and the University of Montreal—took a closer look at the Kepler planets’ sizes with the help of the Keck Observatory. They spent years obtaining spectral data on the stars hosting 2,000 Kepler planets. The spectral data allowed them to obtain precise measurements of the sizes of the Kepler stars; these measurements, in turn, allowed the researchers to determine more precise sizes for the planets orbiting those stars. With Keck’s new data, the researchers were able to measure the sizes of the 2,000 planets with 4 times more precision than what had been achieved previously. When they examined the distribution of planet sizes, they found a surprise: a striking gap between the groups of rocky Earths and mini-Neptunes. Though a few planets fall into the gap, the majority do not. The cause of the gap is not clear, but the scientists have come up with two possible explanations. The first is based on the idea that nature likes to make a lot of planets roughly the size of Earth. Some of those planets, for reasons that are not fully understood, end up acquiring enough gas to “jump the gap” and become gaseous mini-Neptunes. 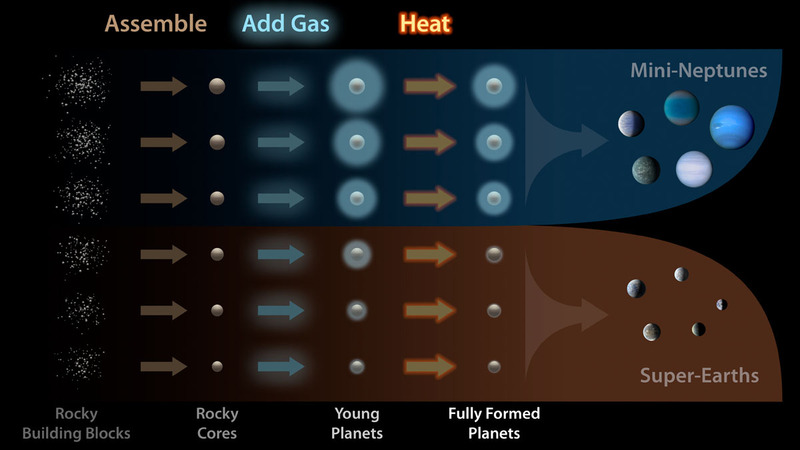 The second possible reason that planets don’t land in the gap has to do with planets losing gas. If a planet does happen to acquire just a little bit of gas—the right amount to place it in the gap—that gas can be burned off when exposed to radiation from the host star. The article The California-Kepler Survey. III. A Gap in the Radius of Distribution of Small Planets is published inThe Astronomical Journal. It was funded by NASA and the National Science Foundation. In addition to Benjamin J. Fulton (Caltech, University of Hawaii), Erik A. Petigura (Caltech), Andrew W. Howard (Caltech) and Lauren M. Weiss (Institute for research on exoplanets iREx of Université de Montréal), the team includes Howard Isaacson (UC Berkeley), Geoffrey W. Marcy (UC Berkeley), Phillip A. Cargile (Harvard), Leslie Hebb (Hobart and William Smith Colleges), John Asher Johnson (Harvard), Timothy D. Morton (Princeton), Evan Sinukoff (University of Hawaii, Caltech), Ian J. M. Crossfield (University of California, Santa Cruz) and Lea A. Hirsch (Caltech).